OSP-T3Map is Joomla! Template, it is built base on T3-Framework and OS Property extension. OSP-T3Map is a clean and professionally designed theme perfect for rental estate websites. Although it contains several animations based on CSS3, it's very lightweight and fast to load. OSP-T3Map includes many specially created features to help you in promoting your estate products: slideshow, content slider, flip module, a lot of HTML insets like advert custom html and much more. Undoubtedly, thanks to theme, your customers will be astonished! Make sure you check all the pages in the live demo. 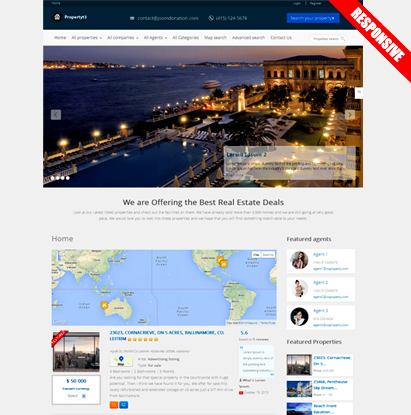 OS Property template is perfect for real estate, property company's website. layouts feature and it can fit all the web enabled devices and mobile browsers.